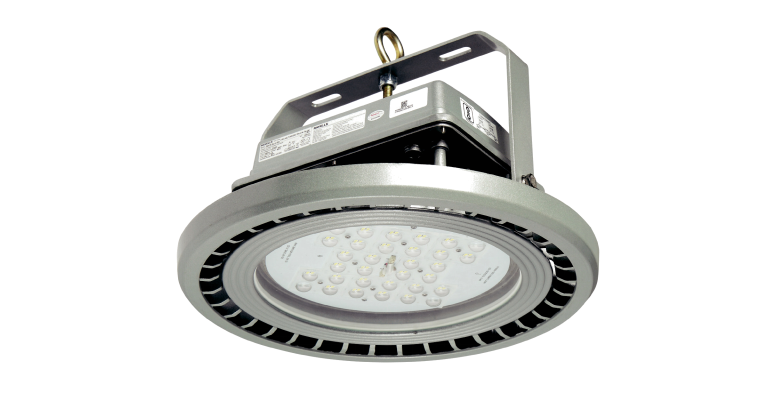 "Better lumens and longer lamp life "
Energy saving, environment friendly & robust Mediumbay /Highbay LED luminaire with high efficacy. Aluminum alloy pressure die casted housing & control gear box for better heat dissipation and aesthetic appeal. PG9 gland is used for cable entry and loopin-loopout. The fixture is epoxy powder coated with colour munshell grey finish. High efficiency long life LEDs with lumen efficacy of >150 lm/W with view angle 120º to ensure better uniformity of light distribution. High quality PC lens with optional narrow & wide beam angles for uniform distribution. Buit In, electronic driver with APFC, lower THD, Open Circuit Protection, Surge Voltage Protection upto 10kV with Built In SPD & other safety test as per IS 15885 Part-2/Sec 13. Suspended by means of heavy duty nickel plated, forged eye-bolt provided with the fixture.